Despite growing up on a farm, as a teenager Chris Oram (Class of ‘11) didn’t like farming. Yet at 24 years old, he is in the process of gaining ownership of the family farm from his father, Richard Oram (Class of ‘78). For Chris, taking over the farm is his proudest moment and he couldn’t have done it without the help, support and a little push, from his family. Located in Wooddale, Newfoundland, the Oram’s farm is not a typical farm for the rocky province. In Newfoundland, or “the Rock,” rich soil for growing luscious vegetables is a rare find. That doesn’t stop the Oram’s. 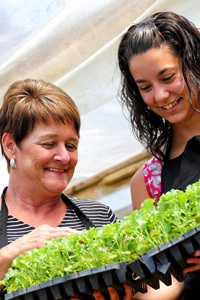 They own and operate a 56 acre vegetable farm called Mark’s Market. 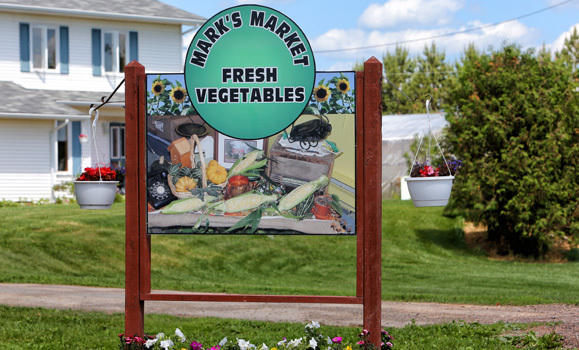 Mark’s Market produces a wide variety of vegetables that are not typically grown in Newfoundland. From the typical carrots and potatoes, to not-so-typical watermelon, cantaloupe and broccoli, Mark’s Market has something for everyone. 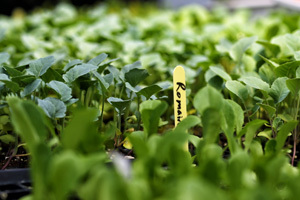 Their ability to adapt to what their customers want is what sets them apart from other vegetable farms in the province. 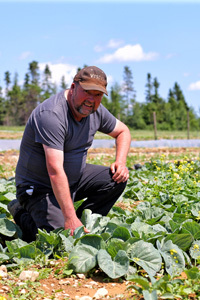 Newfoundland is home to about 30 other vegetable farms but none are quite like Mark’s Market. With an hour radius around them that hosts no other farm markets, Mark’s Market has customers that come from as far as two hours away. Their wide variety of unique vegetables is a huge draw for customers. Chris grew up with a love for basketball and a dislike for farming. As a teenager, he often argued with his father when asked to work on the family farm. He admits that as a child he wanted nothing to do with it but over time, the family farm began to grow on him. It was the Dalhousie Agricultural Campus (formerly Nova Scotia Agricultural College) that really changed his mind once and for all. The family farm was initially started by Richard 28 years ago. He began growing and selling vegetables as a side job with the intention of helping his children get through university. It has since grown and is now a full time operation. Mark’s Market sells their vegetables right off their property to people in their community and beyond. Open evenings and weekends, they operate a farmers market right from the grounds. For the Oram family, having a positive impact on all of central Newfoundland is their ultimate goal. Community support is very important to the Oram family. They educate the community through school presentations as well as activities on their farm. The farm acts as a source of income for Chris and his family but to Chris, it’s more than that. Being able to farm with his family means a lot. Chris's partner, Kayla Arsenault (also Class of '11), whom he met while attending classes at NSAC, is also proud to contribute to the success of the operation. On a daily basis, Kayla works alongside Chris, his father and mother, Arlene, helping to grow the business. Although it is a lot of fun, for Chris running the farm isn’t all fun and games. He says that he wouldn’t have been able to take over the business without the help from his family. Chris takes pride in the operation that his father started all those years ago. At the young age of 24, Chris has lots of time to continue to develop what his father started. It took Chris some time to realize just how important family farming is to him, but he’s glad he finally realized it.